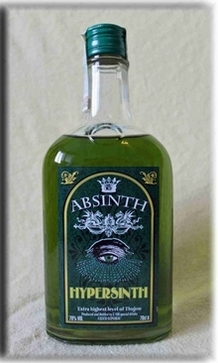 Absinthe fusion is a special absinthe. A master distiller, two academics and a chef met at a table and tried by their common knowledge, a historical absinthe recipe from the 19th Century to reconstruct the latest findings from science. The burner Champion Oliver Matter is best known from the Matter Luginbuhl distillery. Furthermore, the physicist Professor Dr. Thomas A. Vilgis, who holds a doctorate in physics in Ulm, participated. Also Dr. Helmut Jungwirth, a university professor of molecular biology from Austria, has helped to write the new recipe. Last but not least was a chef Rolf Caviezel, who hails from Switzerland, involved in the implementation of the historic recipe according to the latest scientific findings. So Absinthe Fusion is something very special. Test the fusion of absinthe and see if the experiment the four academicians succeeded.